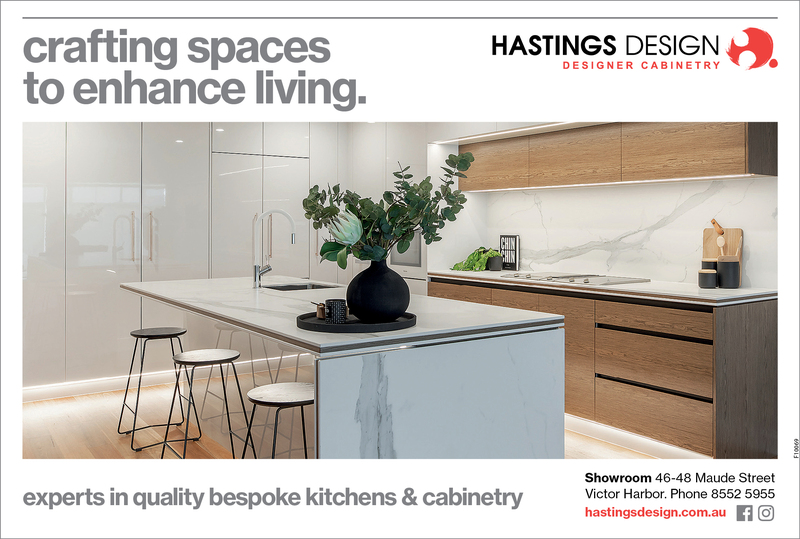 Your perfect kitchen starts with a one-on-one consultation with our experienced kitchen design team. They work with you to establish the very best layout and storage options for your new kitchen using 3D kitchen design software to model your ideas. 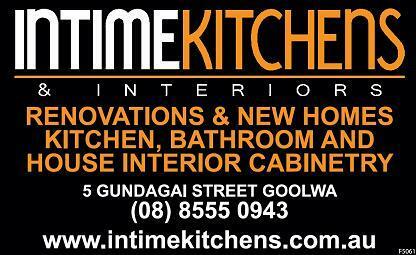 Intime Kitchens and Interiors is a Goolwa based business that will listen to you and tailor a package to suit you and your home. We service not only the Fleurieu Peninsula region but the Adelaide Hills, surrounding country areas and metropolitan Adelaide. This small boutique kitchen business started in 2009 has been excelling in delivering your needs and style. 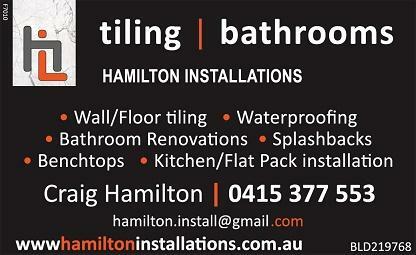 Hamilton Installations is a family run local business providing high quality tiling finishes as well as complete upgrades/renovations for your wet areas. We have over 15 years experience in the industry and pride ourselves on our professional manner and quality finishes. We can undertake as much or as little as you require and cover all aspects of tiling, waterproofing, splashbacks, bench tops, cabinetry, plumbing and electrical. 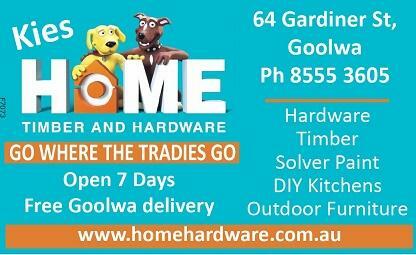 We are fully licensed and insured with all of our work adhering strictly to Australian standards.